The example makes usage of the QRegularExpression class, which has been introduced in Qt 5.0. 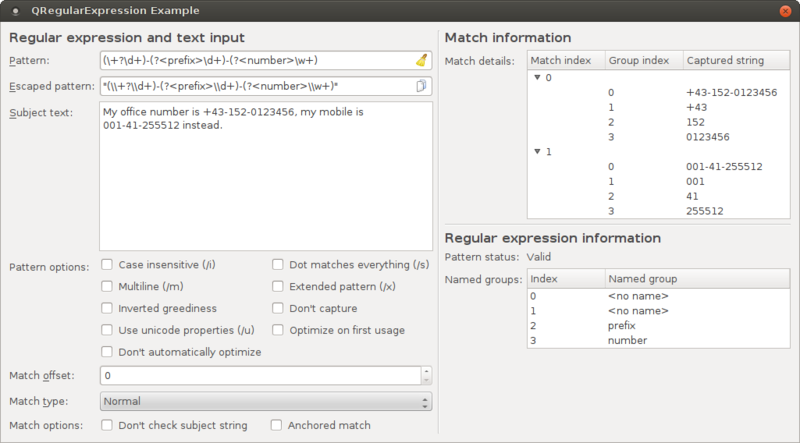 QRegularExpression implements Perl-compatible regular expressions, supporting a number of advanced matching features, such as case insensitive matching, multiline matching, Unicode properties selectors and partial/incremental matching. QRegularExpression is a big improvement over QRegExp in terms of features and performance and should be used in all new code.